Residents will have the opportunity to ride along with advanced life support transport units from the Baltimore City Fire Department (BCFD). BCFD is an urban, all hazards response organization that responds to over 150,000 requests for EMS service per year. 24 full time “Medic” units provide advanced life support services to Baltimore’s citizens. Peak load and critical alert medic units supplement daily operations. Residents are assigned to either veteran paramedic preceptors or an EMS Lieutenant. Drs. Wade Gaasch and Ben Lawner provide medical direction and oversight for the Baltimore City Fire Department. Residents may complete a dedicated EMS elective in order to gain additional experience with medical control and scene operations. Opportunities exist to participate in all aspects of pre-hospital medicine including quality assurance/improvement, education, emergency medical dispatch, and special operations. The Baltimore City Fire Department also provides medical support at mass gathering and sporting events throughout the city. Resident physicians and medical students are encouraged to participate in the planning and execution of mass gathering medical plans. Residents will be assigned to ride alongs during the emergency department rotation at the University of Maryland Medical Center. Residents will report to a pre-determined location, usually the Steadman Fire Station, at the corner of Lombard and Eutaw Streets. Depending upon availability, residents may be assigned to other first line medic units. Residents should check with Lt. Matthew Fifer (matthew.fifer@baltimorecity.gov) or the Chief Residents prior to the EMS shift to verify the assignment and location. Scrubs are acceptable EMS attire. Residents should wear closed-toed shoes and bring a stethoscope and their official, UMMC-issued identification. Jackets and labcoats are not recommended for the EMS rotation. Personal protective equipment such as gloves/masks are found on departmental ambulances. Baltimore City medic units are frequently engaged in response-oriented tasks and food is often purchased "to-go." Residents are encouraged to bring cash to cover food associated expenses. 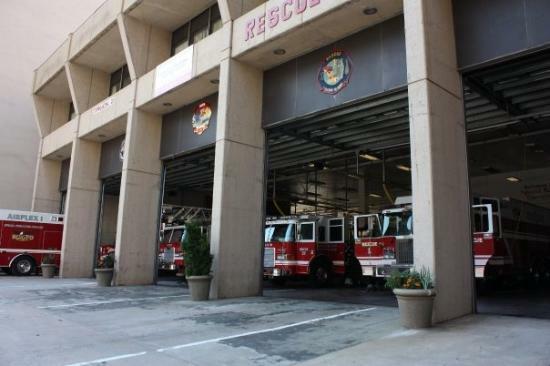 Some fire stations offer to include residents in daily meals for a fixed fee of 5-6 dollars. Residents should plan on bringing food to the rotation if specific dietary restrictions exist. Contact Dr. Benjamin Lawner, the rotation director, with any EMS specific concerns or queries.